The basic difference is that replication is pressing discs on a production line and is suitable for copying large quantities (1,000 units) and duplication uses lasers to copy data on to CDR or DVDRs discs and is a more appropriate method for short print runs. (from 100 copies). Both manufacturing processes offer Litho or Screen Printing onto the on-body surface of the disc. The product description details the CD / DVD / USB Drive product for which the quote is based on. This will normally state either the physical size of data capacity of the product. If you are unsure if the product is correct for your particular project please do not hesitate to contact a member of staff, they will be able to discuss your project and confirm the correct product. What does the 'cost per unit' price include? The cost per unit includes all Setup, Film, Mastering and Plate charges, this makes purchasing and looking after your budget easy. The cost per unit will decrease as the quantity rises. If you would like to receive any further quotations for different quantities, please do not hesitate to contact us. What paper parts are included in my quotation? This section of your quotation states any paper parts that are included in your quotation. Unless otherwise stated; all paper parts include insertion into the packaging chosen for your project. If you would like to discuss the paper parts for your order please do not hesitate to contact us. What packaging is included in my quotation? This section of your quotation will show which packaging is included for your CD / DVD project. When 'Bulk' packaging is quoted we will shrink-wrap your CD / DVD's in 100s stacks. This will ensure your project reaches you safely, and allows you to store your CD / DVD's efficiently for future use. Unless otherwise stated; all quotes include inserting each CD / DVD into the packaging is included in your quotation. Please do not hesitate to contact us if you would like to receive samples of the packaging you require. How will my discs be printed? At Disc Makers we take pride in our printing and are proud to offer the latest Litho (offset), Screen (silk screen) and Digital printing processes for your project. Screen printing is the preferred technique for reproducing block colour and text-rich designs. We can also reproduce corporate PMS Pantone colours using this method. Litho printing (CMYK) is used to reproduce full colour process designs, normally containing images and fine detail. Digital Printing High resolution (this is not to be confused with small stand alone desk top digital print machines that some other suppliers offer) – This is mainly used for orders that require print serialisation, allowing us to add different names, numbers or pictures to each disc produced. Digital is a more expensive process of printing discs. A section of your quotation will also state the number of colours included within your pricing. 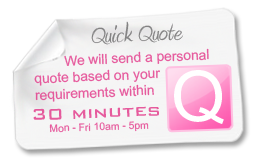 Most of our quotations include full colour printing at no extra cost. Some express screen printing quotes may only include between 1 and 4 colours, this will be clearly stated on your quotation. If you are unsure what printing process to use, we will be pleased to discuss your requirements in detail, and offer the most cost effective solution. This process involves printing with water soluble CMYK inks that are printed onto the printable surface of a CDR or DVDR. Unfortunately this printing process is not really suitable for discs that are handled frequently, as the ink can come off on your hands. This is due to the fact that the ink is water based. Disc Makers DO NOT OFFER this service. Why are 500 units almost as expensive as 1,000 units? The optimum ordering quantity for replication is 1,000 units due to the cost of a glass master manufacturing. Also the initial setup charges is amortised over 1,000 rather than 500 units. Replicating discs it is more cost effective, than duplication for all quantities over 500 units. How long will it take for you to deliver my CD / DVD discs once I have placed my order? Replication usually takes 10 working days and duplication 5-7 working days. However, if you require your discs urgently contact us as we do offer a fast turn around service (2-3 days) and can supply you with a quote on request. How do you deliver my finished order? What is the manufacturing time for my project? Our standard manufacturing time for replication of CD / DVDs product is between 10 and 12 working days depending on the quantity/packaging required. Duplication is between 4-5 working days and for USB drives 5- 8 working days. We can also offer an express service for your urgent projects. We can print and duplicated up to 10,000 Express CDRs or DVDRs in as little as 2 days if required; please contact a member of staff to discuss your specific requirements. When placing your order with Disc Makers you will receive regular e-mail updates detailing the progress of your order, to receive these updates please ensure you complete the e-mail section of the purchase order form. How long is the quotation price valid? For USB Drives the time is 3- 5 days. How do I order my CD / DVD discs or USB drives? When you are ready to place your order, we will send you a pre-completed order pack. Return the pack with two Master data discs. Your project will be entered into our system, and we will confirm your order and delivery date by return. Completed the Disc Makers Purchase Order or supply your official order with full details of invoice / delivery address, telephone numbers etc and e-mail or post to Disc Makers. Complete a Copyright Indemnification Form. Signed copy of Disc Makers Terms and Conditions. A member of staff will contact you for card details on receipt of your purchase order. There is a 2% surcharge for payments made by Credit Card - No charge for Debit Cards. Please note. You need to allow seven working days for your payment to 'clear' prior to dispatch of your order. Please ensure that you include your Disc Makers Invoice or Sales Order number as the reference for your transfer. What are the payment terms for my order? Payment terms are strictly 50% payment with order, the 50% balance is due on dispatch/collection of your order. Schools, Colleges and Universities will automatically qualify for a 30 day credit account. Please do not hesitate to contact us if you would like to discuss the payment terms for your order. What Discs should I use to make my Master? The simply answer is a high quality CD-R or DVD-R (Verbatim, TDK Sony or any other branded media disc). For your master you can use CD-R, CD+R, DVD-R or DVD+R discs. Under no circumstances should you use a CD-RW or DVD-RW, as we cannot duplicate or replicate from these types of re-recordable discs. Will Disc Makers test my discs before manufacturing commences? We will certainly test each disc to ensure that it will be able to be duplicated or replicated (create a glass master). But we do not check the contents of the disc – This is your responsibility. If an audio track is incomplete or a link does not work on a CD-ROM then we are not responsible for checking the program or audio data during the manufacturing process. So please ensure that you check all audio tracks are complete, and that all links work on your disc. Otherwise you will receive the same errors on the discs we manufacture. Remember: Before sending in your master, test it thoroughly to make sure that it performs exactly the way you want it to. Your finished discs will be an identical copy of your master. Please check your discs work correctly in a number of computers (PC and/or MAC) before sending them to Disc Makers. Will my CD / DVD discs manufactured by Disc Makers play on a PC and MAC? Are all DVD discs compatible with all DVD players? Generally, yes, but for legal reasons, some publishers encode DVD discs so that they may play only in certain parts of the world. This is called "regional coding. What is a DVD ‘Regional Code’? DVD region codes are a technique designed to restrict the area of the world in which they can be played. The Region Code is set during the authoring of the DVD – we cannot change the region coding of your master. If the author set the DVD Region Code to ‘0’, it will play in all regions. For the UK the region code is 2, and the USA region 1. Will Disc Makers accept data masters that are e-mailed or available from our FTP site? This is an option, although we do not really recommend this to clients, due the fact that there can be some errors in the transfer, and also by sending a finished master (CDR or DVDR) you can be assured that your disc works perfectly in all players and machines, before Disc Makers starts manufacturing. Will Disc Maker make any changes to my supplied Master if there is a problem with a track or programming links? No, unless we developed the programme from start to finish. Can I have a finished test (sample) CD or DVD (complete with print) before manufacture commences? It is possible, but very expensive, due to glass mastering and machine set up costs. The cost also depends on the quantity ordered, and we would not recommend this service for quantities under 100k. Under normal circumstances we supply a PDF proof by e-mail for you to check and approve. This is image is taken directly from the printing plated or films. If you do require this service – then talk to us and we would be please to give a cost. How should I send my masters to you? We recommend that you pack your masters very carefully to avoid any risk of daage in the post and send them either by Royal Mail “Special Delivery” or a courier. We do not recommend using regular post as you will not be able to track your parcel. Always keep a backup of any master or artwork you submit. Disc Makers is not responsible for masters or original art that are lost in the post. To make sure your order gets processed promptly, please address your package to the attention of Sales or your account manager, and be sure to include your return address and phone number. We will supply you with artwork templates to assist in the DVD /CD design and packaging. You can supply your artwork to us by e-mail or a CD-R in any of the following formats – as a PDF, JPEG, (high resolution) Illustrator (ai file), Photoshop (psd file) We supply a template specification that contains all the information you' will need to create your artwork in the correct format. Should I design my artwork in CMYK or RGB? We require that for all CD / DVD products and printed paper parts are designed using CMYK or PMS (Pantone). If designed using RGB we will have problems with colour match in the printing process. What is the smallest font size I can use in my artwork? The smallest point size we suggest for printing is 5pt. Also please ensure the text is not closer than 3mm from the edge of the design. What is the resolution I should supply my artwork? Not less than 300 dpi. All images MUST be 300dpi before you place them in the design, if they are less than 300dpi then just because to set up you artwork template at 300dpi they will still be at a lower resolution on the finished artwork. If unsure, please call us, and will try a help. What can you do if I require colour and silver to appear on my disc? This is possible by allowing the silver base to be visible in certain parts of the design. For these areas of the silver, we would not put down a complete white base area. You will need to create the appropriate layers in the artwork for this print method to be achieved. Will Disc Maker make any changes to my supplied artwork if there is a problem? Yes. There will be no charge or minor adjustments, although if more additional work is required then we will charge out at £20.00 per hour. Can Disc Maker create my artwork? Yes. We offer full artwork design facilities at a reasonable cost. Please call us to discuss your requirements. Simple artwork is created for as little as £15.00. Can I see a proof before manufacture? When you submit your design to us we'll check your files and will send you a PDF proof by e-mail for your approval before manufacturing commences. We ask that you check the PDF carefully and approve it on the day it arrives to avoid any unnecessary delays in production. Will the colour on my disc be the same as the printed paper parts? Unfortunately, there will always be slight variation due to the fact that paper is absorbent and a disc with a silver base is non-permeable; also different drying processes are involved. Therefore, even although we put a white base down on the disc surface there will always be a small difference. At Disc Makers, we endeavor to match as closely as possible but slight variances are possible even when PMS (Pantone) colours are defined. For further information please talk to us. Can I receive a Cromalin or wet proofs of the paper parts before manufacture commences? Not under normal circumstances due to time restraints and cost. We supply a PDF proof by e-mail for you to check and approve. This is image is taken directly from the printing plated or films. It is not intended to be colour perfect, but sufficient to show the finished product in layout. If you do require a Cromalin or wet proofs – then talk to us and we would be please to give a cost for this service. How can I obtain a barcode for my CD or DVD? Barcodes can be purchased from GS1. Unfortunately, we are not able to purchase barcodes on your behalf as they are required to be registered only in your name. What the difference between DVD-1, DVD-5, DVD-9 and DVD-10? Basically, the short answer is the disc capacity. DVD+R or DVD-R are acceptable for replication of DVD-1, DVD-5 and DVD-10 discs. For DVD-9, you must supply two DLT masters (layer 0 and layer 1), or a DVD+R DL. Under no circumstances should you use a CDRW or DVDW, as we cannot duplicate or replicate from these types of re-recordable discs. What is a Business Card DVD? Packaging: All types of packaging are available (e.g. Jewel Cases, Plastic Wallets, and Card Wallets). Lead-time: 10 Working days from receipt of all parts (Design and Data). Unfortunately, the oblong shaped business card is not available as a DVD, due to its unreliability in the DVD tray drive. What is the data capacity of a CD? All these discs can be litho or screen printed. How much music or data can I put on a CD? Does it cost more to replicate or duplicate a full CD / DVD than a part full CD / DVD? Simple answer No. For replication the amount of data is totally irrelevant. Although for duplication, some companies charge more if the disc is over half full. Disc Makers duplication of a CDR or DVDR is FREE regardless of the data capacity. Do Disc Makers offer programming services? Talk to us about your requirements - we do check all your files carefully when we receive them and can offer programming services if your files need any slight amendments. AutoRun runs a program when a CD or DVD is inserted into a Windows computer - see below for advice on Apple Macs. Some CD or DVD customers may have switch off AutoRun, as they are concerned about viruses. There is no way to force your users to use AutoRun. It is therefore good practice to provide instructions (details on the paper parts) so that users know how to start your CD or DVD. These instructions are also required if your CD / DVD might be viewed by non-Windows users. MACS: The equivalent to AutoRun on Macs is called AutoStart. We are informed that this only works on OS9 and earlier; Mac OS10 via Toast only allows you to open a folder window and not an application. If your Master has not been configured to AutoRun, then the discs manufactured will also NOT AutoRun. Please check your discs work correctly in a number of computers (PC and/or MAC) before sending them to Disc Makers. DVD Authoring is the process of creating an interactive DVD, a DVD which has a main menu page from which you can make the selection to play your video or to go to other interactive menu pages. A scene selection page can include animated thumbnails. DVDs can also contain animated video transitions from one menu to another, or an animated introduction to your DVD. Combined together with a good video production it is a very powerful marketing tool. Disc Makers offer an authoring service for DVDs. Please call to discuss your requirements. How can I protect my data on a DVDR from illegal copying? We can now protect your DVD or DVD-R video discs from unauthorised duplication and ripping using our unique encryption and duplication service. It works by surrounding the video files or picture * files with a small 'wrapper' that confuses DVD burning and ripping software, making programs see a blank disc. This 'wrapper' is transparent to all set-top and computer DVD players. As the original DVD audio & video files are not encoded at all, playability is unaffected. Independent tests have shown that our “DVD Protect” system safeguards your disc against unauthorised copying using ripping software including Magic DVD copier / Nero OEM Suite / CloneDVD / Easy DVD Copier / Smart Ripper / MAC The Ripper / MediaFork. We're confident you can benefit from the increased security offered by “DVD Protect” so we offer to protect a sample disc for you completely free. All we need from you is an unprotected copy of your DVD and we will do the rest. What is a hybrid DVD? A hybrid DVD is a term used to define DVD's that offer more than one purpose. For example a DVD is authored to run on both Mac and Windows platforms or alternatively it is authored in such a way that it will play video when used inside a DVD player and also when used in a DVD drive of a PC might contain software applications and data files. It could even be that the DVD offers all of the above plus some other features. The term "Hybrid" simply means that its more than your single purpose DVD. Hybrid DVD's often contain a multitude of content that can be tricky to author. Therefore it is not a popular format. Can I use any music I want in my CD / DVD presentation? The simply answer is No - Contact MCPS or Call us to discuss any questions you may have. The MCPS (Mechanical Copyright Protection Society) collects and distributes royalties to its members. 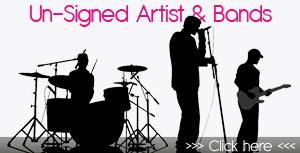 This society focuses on music that is distributed or sold. It is vital that you ensure that you have a license for any music that you plan to manufacture. Even if all your music is original, you need to contact the MCPS before you place a manufacturing order. In most instances, you will complete an AP2 application which covers the licensing for products which are for retail sale. With this agreement, you will pay royalties on the total units to be manufactured before they are replicated. This is usually calculated as 6.5% of the retail value (excluding VAT) of the CD multiplied by the number of units to be manufactured. It may also be calculated as 8.5% (maximum) of the highest price your retailer would pay your distributor for the CD. Once you submit the form, it usually takes about seven working days to get your license. If no royalties are owed, you will receive a notification of no claim. responsibility to prove copyright ownership before we agree to manufacture your CD / DVD. Can you print on my USB Drives? Disc Makers offer free Logo or Text printing on the body of your Promotional USB Drive. USB sticks (memory drives) or USB Wrist Bands offer you the opportunity to personalised your USB drive with a logo or text message. We offer screen printing of up to four Pantone colours to be pre-printed on the body completely fre of charge from as little as 50 units. Printing can also be on both sides of the body for a small extra charge. Just supply us with your image as a high resolution PDF (or alternately the text, font and colours you require) and we will make a mock-up design on the USB drive of your choice. This service is completely Free of Charge. We have sales designers who can help you, if you have any problems in this area. Disc Makers offers the facility of preloading data - free of charge with all our USB Drives. All USB Flash Drives can be preloaded to your exact specification. The data applications are suitable for use in all market sectors. The most popular preloaded files that we pre-load include: PowerPoint Presentations, Movie Clips, New Product Launch products, Product Catalogues, Images, Word Documents, PDF documents, Excel documents. The Preloaded files can (if required) be locked and therefore can NOT be removed, this ensures that your target audience sees the information you want them to see every time they boot up the USB drive. This doubles the impact of your promotion. AutoRun and USB memory sticks? As described above – it is your responsibility to pre-program AutoRun on the data supplied. Although we would stress that the AutoRun facility does NOT work if the USB is used in a MAC. They will only be able to open the files manually. Disc Makers can assist if required, if you have a problem configuring AutoRun for your USB memory drive. What USB Drives accessories are available? Disc Makers offer a comprehensive range of accessories to compliment your USB drive including Ball Chain, Key Ring Chain, Key Ring Clip, Key Ring Cord, Key Ring Swivel, Lanyards. These accessories can be added to your order for very little additional cost. To enhance the appearance of the USB Drive – Why not pack the USB stick in a Magnet Presentation Box (size: 88mm x 63mm x 18mm). The lid is held closed by a magnetic connection. Pocket packs can also be very useful to keep your USB memory stick safe. For retail display packaging a Blister Pack is the perfect solution for all our USB drives. This pack allows you to create a company brand, with technical details, specifications etc. 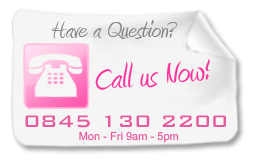 Please call us to discuss other packaging options that are available. 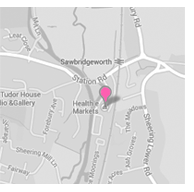 We are open 5 days a week from 9.30am until 5.00pm. If we are not available to take your telephone call, please leave a message, and we will call you back as soon as possible. Can Disc Makers send my order directly to my customer? We call this service “Sent under white label”. The goods are sent directly to your client with no reference to fact that that have come from Disc Makers. If you wish to e-mail a dispatch note to us before shipping, we will include this is the goods package. Under no circumstances will we ever contact your customer without your prior approval. What is Disc Makers returns policy? If we receive a complaint, we will ask for 5 samples to be returned. Upon investigation of the problem and it is determined that is a valid defect which was our fault. The discs would be re-manufactured at our cost. If the order is re-run then we will require the faulty discs to be returned to us at our cost. After a Quality Control investigation of the samples, we discover that the problem was not our fault. For example if the problem was a colour issue and we had not been sent anything to match to, then we could not accept liability as we were not to know what the exact colour should be. Notification by the Buyer is limited to 3 days after receipt of the goods. The Fair Trade Labeling Organisation International (FLO) is an international organisation responsible for setting and maintaining FairTrade standards that apply to producers and trading relationships. They regularly inspect and certify producers against these standards, and audit the flow of goods between producers and importers in the countries where the International FairTrade Certification Mark is available in the marketplace. Disc Makers Ltd is proud to be part of this world-wide Organisation, and will continue to up hold the standards set by FairTrade. If you have any questions regarding FairTrade, please contact us and we will be please to discuss any questions you may have. What is Disc Makers policy on supplying recycled materials? Disc Makers maintains a high regard for the environment and is continuously seeking ways and means to produce quality products with less or no impact to the environment. All our standard paper and card based products are made from wood pulp derived from sustainable forests, so you can rest assured they are both the highest quality and environmentally friendly. All are also fully recyclable, so they won’t harm the environment. Glass Recycling: While traditional glass mastering involves various unfriendly chemicals, Our Factory uses an automated glass recycler that allows the glass to be cleaned and reused many times. The system removes nickel and silver residues, photo-resist and adhesives, and any chemicals used for cleaning and rinsing throughout the mastering process. Paper Recycling: All extra printed material including manuals, guides, booklets, tray cards, corrugated boxes, product cartons and more are sent to a local paper fiber recycling company. Plastic Recycling: Excess plastic produced from manufacturing is ground into small chips and shipped to a local plastic recycler for reuse in less critical plastic manufacturing. Water Treatment: All waste water and DI rinse water feeds a central waste water treatment system that removes all harmful elements and has a capacity to treat up to 500 gallons per day. Regular baseline samples are measured to ensure compliancy with local authority legislation. We would be please to fulfill your order requirements for CD / DVD/USB Drives, and can ship to any part of the world. Our professional staff will ensure that your enquiry and subsequent order will be processed and dispatched to your country with minimum effort “We make it easy to purchase from us”. Please call or e-mail your requirements and we will be please to help. What is DISC MAKERS Lowest Price Guarantee and Price Match Terms and Conditions? We only guarantee to beat or match price for products which are absolutely identical in specification to our own offer. We will always offer the best options (CD / DVD replication and duplication) for your job and give you the information so you can make an informed choice related to your budget and deadline. Artwork: Just e-mail your artwork to us and we will check that there are no errors, and wherever possible make adjustments at no cost to you. We have easy specifications sheets that make it easy to create your artwork to our requirements. Job Tracking: From start to finish we will keep you informed of the progress of your project, by email and telephone. Delivery: We pride ourselves on getting your order to you when you want it. We use the City Link “Next Day” service, although if required we have our special “Same Day” service. Copyright: This is a very important issue, and DiscMakers are at the forefront of the fight against copyright theft. We have over 20 years experience working closely with IFPI and FACT both in the UK and worldwide. We have adopted the new IMRA anti piracy policy, and will require you to complete the relevant documents. How to Order: When you are ready to place your order, we will send you a pre-completed order pack. Return the pack with two Master data discs. Your project will be entered into our system, and we will confirm your order and delivery date by return. What makes Disc Makers different from other suppliers? • We care what people think about us. • Our service is only as good as comments made by third parties. • Our reputation in the replication & duplication industry is an important issue to us. • Our 25 years in the trade has given us the experience and knowledge to make it easy for you to order your CD, DVDs or USB drives with a 100% guarantee that you will receive the best and most professional service in the industry.